oshyn: RedDot Environment Migration Tool - Open Text Web Solutions Usergroup e.V. Oshyn has implemented a synchronization tool for RedDot environments. 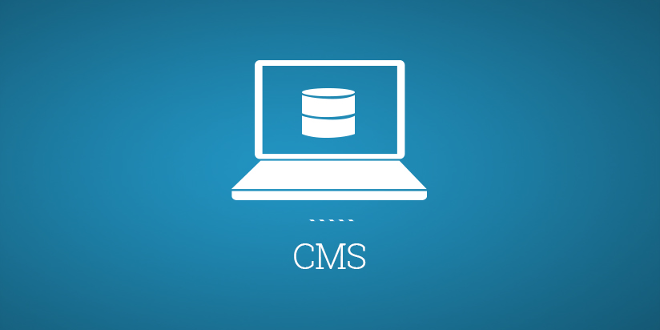 We realize about the importance of synchronization jobs between different environments without using the import/export built in tool of the CMS. This kind of synchronization is very common in projects when you just have to push small changes from one environment to another. INTRODUCING Ricardo Acevedo as my GUEST BLOGER. Ricardo is a software engineer with Oshyn and subject matter expert with Red Dot CMS. In practical cases when you have a development environment where you place all the new structural changes and you want to push them to QA environment or Production is very common to have several small structural changes that don’t require a full export/import job, for that cases we have implemented a synchronization tool that allows users to choose the elements they want move between environments. The RedDot Sync tool is a web application that was implemented in .NET (framework 3.5), it uses a RQL Manager library implemented by Oshyn as well, the tool uses Anthem to present AJAX enable controls and in the frontend side we are using JQuery. Is important to mention that when you execute RedDot Queries (RQL) within big procedures the server’s response time can be significant big, all depends in the amount of data that is loaded from the CMS. 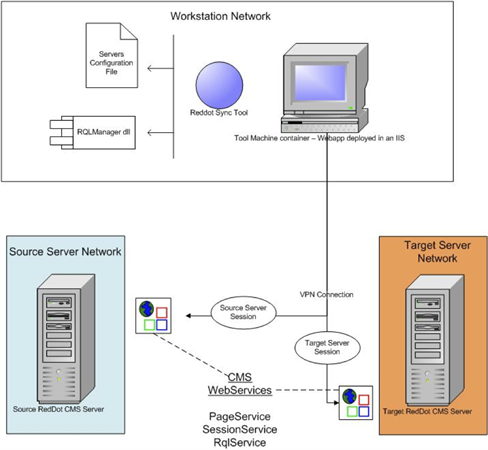 Source and Target Servers are located in the same server but are different projects, CMS servers are not located in the same network of the sync tool, the second scenario is when the entire architecture is installed in the same network. Source Server, Target Server and the sync tool are located in different networks, in this case is possible to establish a VPN connection to execute the tool if it requires. PageService: provide methods to manage process related to content, for example create/edit pages, content elements, structural elements, metadata, etc. RqlService: provides methods to execute queries, it needs session data to execute queries. Authorization Packages: users can synchronize authorization packages but this process presents some dependencies like users/groups dependencies, this means that as previous step users/groups synchronization should be executed. Workflows Synchronization: maybe this can be the most complex functionality of the tool, this implies a lot of data load, as the same way of Authorization packages this requires a previous synchronization of users/groups and project variants. Content Classes Synchronization: this feature allows users to move new structural changes between environments, this should be the most useful feature because it allows users to edit/create templates and this process can merge a lot of data. This process has folder dependencies so folders should be synchronized before Content Classes. In a second version of the tool we want to add all the dependencies synchronization and as a plus Oshyn is working to implement a generic migration tool that can work with different types of Content Managements Systems, this will allows users to change the software technology between different CMS without having to spend too much time in the data and site structure migration. Also Oshyn has implemented another useful application to migrate content between different environments or projects, this is a .Net application as well that has implemented a Silverlight interface. With this Oshyn covers almost all the functionalities to migrate projects between servers. Contact for more about Oshyn Migration Accelerator for Open Text Web Solutions and RedDot CMS.